While the rest of the nation has been waiting with bated breath for the monsoons, those inhabiting the banks of the river Narmada have been dreading the onset of rains this year. The 45,000 families that live in the districts of Bus Badwani, Dhar and Jhabua in Madhya Pradesh, among others, have been living in the fear of being rendered homeless due to floods. It has been 30 years since the Satyagraha movement was initiated, protesting the construction of the Sardar Sarovar Dam on the river Narmada, in Gujarat. The protests, however, have been largely disregarded, and the construction of the dam continues unabated, threatening the lives of thousands. In an interview with Patrika, leader of the Narmada Bachao Campaign Medha Patkar talked about the plight of these families in the face of the upcoming monsoons. She highlighted the jeopardy that these tribal families have been living in, and the lackadaisical attitude of the Madhya Pradesh government in dealing with the issue. Medha Patkar went on to talk about the large scale fraud that has been committed in the rehabilitation procedure, and the fact that she and her workers have been instrumental in exposing the same. A petition has also been filed by the workers of the Narmada Bachao Campaign in the Madhya Pradesh High Court in this regard. The court had then directed that a committee be formed under Justice SN Jha to look into the matter. However, despite the fact that the committee has submitted its report, it has not been made public by the Madhya Pradesh government. "We demand that this report be made public as early as possible. 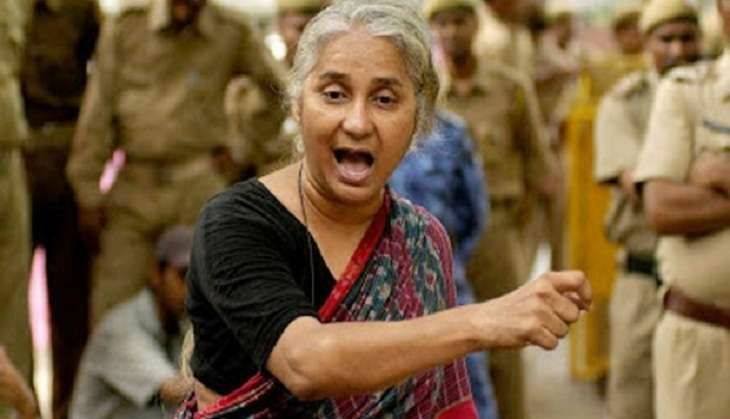 Until the rehabilitation of 45,000 families is complete, work on Sardar Sarovar Dam should be stopped at once," Medha Patkar said. Patkar said her 30-year-long struggle has resulted in the rehabilitation of 14,000 Dalit families and other tribes. She rejects the MP government's claims that the rehabilitation process has been completed. She points out that the ground reality is that till date only about 40-45 families have been allotted land in the rehabilitation procedure. 45,000 families are till forced to live in the catchment area of the dam. Due to the government's lack of concern, thousands still inhabit the area that remains under the threat of being submerged in the upcoming monsoons. Dishoom: Watch out for Varun Dhawan, John Abraham's 12-minute long chopper chase scene! READ NEXT >> Dishoom: Watch out for Varun Dhawan, John Abraham's 12-minute long chopper chase scene!